A fully improved production concept for LED components and light modules in which all the process steps are supported with one another could bring completely new types of LED chips and also reduce their manufacturing costs. The declared target of the "InteGreat" project is therefore to research new approaches to the production of high-efficiency light emitting diodes along the entire production process, to remove the boundaries between the individual value-added stages and as a result to create new functionality and high flexibility. As the leader together with five partners from industry and research, Osram Opto Semiconductors are combining their specific knowledge in this project which is due to run until November 30, 2017. "InteGreat" is being supported by the German Ministry for Education and Research as part of the "Photonic Process Chains" initiative. "InteGreat" will optimize the individual processes in LED production in order to develop new processes and thereby reduce manufacturing costs. An all-round view of the manufacturing process – from epitaxy (crystal growth) to the light source itself – should enable synergies to be exploited for maximum effect and new approaches and procedures to be developed. "For the duration of the project we will be researching completely new concepts for LED chips production and allow ourselves to question the traditional theories of the manufacturing process", said Dr. Jürgen Moosburger, Project Coordinator at Osram Opto Semiconductors. 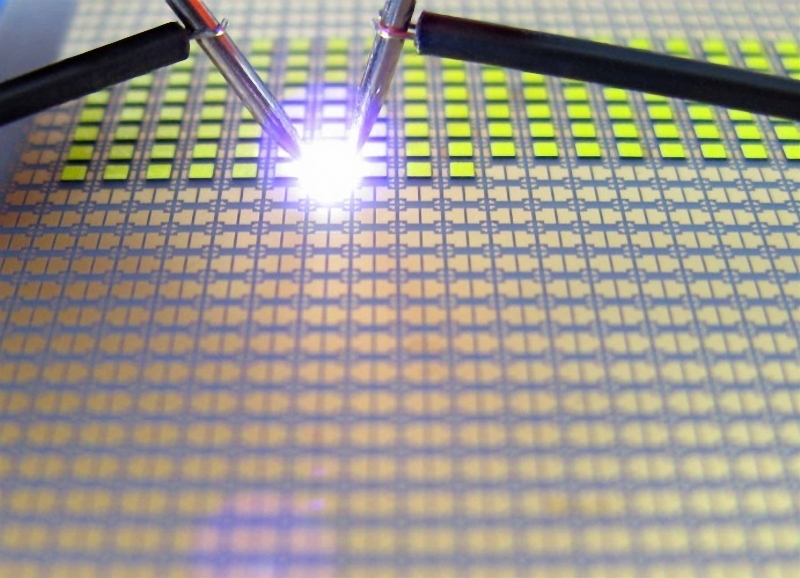 Established technologies and processes from the traditional microelectronics industry will be used and adapted to the specific requirements of LED chips production. Current steps that have been isolated will be connected, which will allow cost-intensive sorting and testing processes to be replaced by comprehensive routines. This could enable production of modern high-power LED chips to be a unified process for the first time. "With the new production concepts, we want to be able to develop both low-cost mini LED chips and highly integrated modules", explained Moosburger. To realized the purpose of this project, Osram Opto Semiconductors as the leader and the five other partners, namely Osram GmbH, Fraunhofer-Gesellschaft, LayTec AG, Würth Elektronik GmbH & Co. KG and Mühlbauer GmbH & Co. KG, are cooperating closely . Osram Opto Semiconductors is bringing its years of experience and knowledge in LED chip technologies to the table, and is responsible for the integration and evaluation of the new processes. Osram GmbH as a specialist in lighting solutions will integrate the newly developed LED components in low-cost lighting solutions and is also supporting the project with its expertise in process technologies. Mühlbauer, a global technology partner for the Smart Card, eP?sse, RFID and Solar Backend sectors, is contributing its knoledge in engineering to the high-precision processing of electrical components on flexible and fixed substrates including the development of new processes. Würth Elektronik is making its extensive experience in individual solutions for pc board production available. Specifically, it will be researching the ways in which the LED chip can be SMT to the pc board. The Berlin based instrumentation expert LayTec is analyzing innovative process control systems for LED lights manufacture. The Fraunhofer Institute for Reliability and Microintegration IZM and the Fraunhofer Institute for Integrated Systems and Device Technology IISB are researching the basic technological principles of process control and mounting technology. IZM will offer its experience in connection technology, and IISB will work on the intelligent control of production processes. The "Integrated High-Volume Production along the LED Value-Added Chain for Large Wafers and Panels (InteGreat)" project started on December 1, 2014 and will be supported by the German Ministry for Education and Research as part of the "Photonic Process Chains" initiative until its planned finishing date of November 30, 2017.